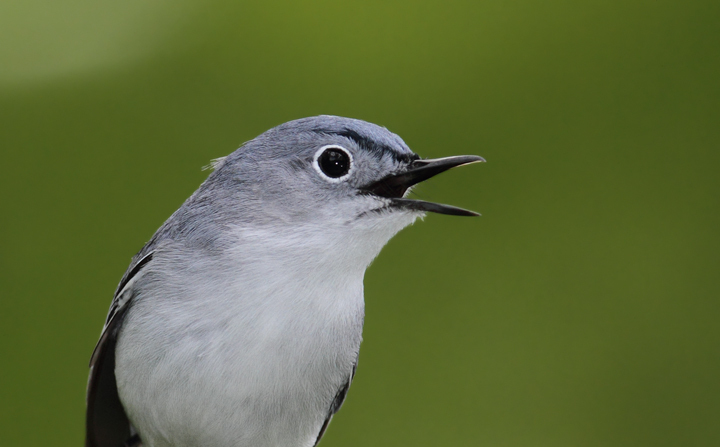 It's May--the floodgates have opened. 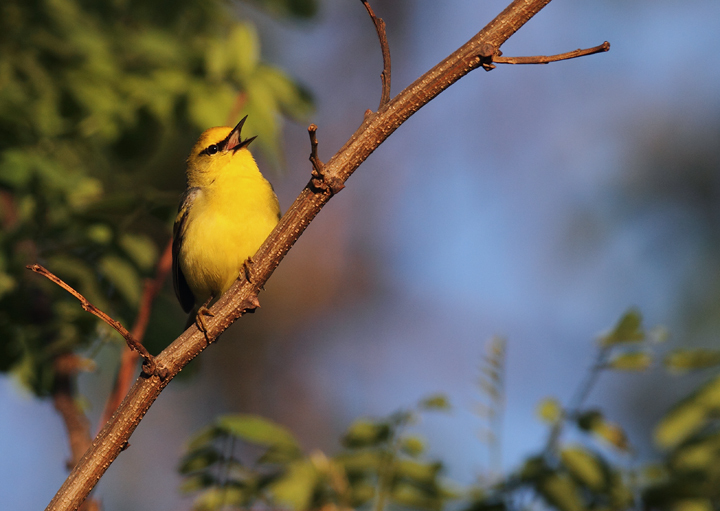 Last updated: 5/6/2010. 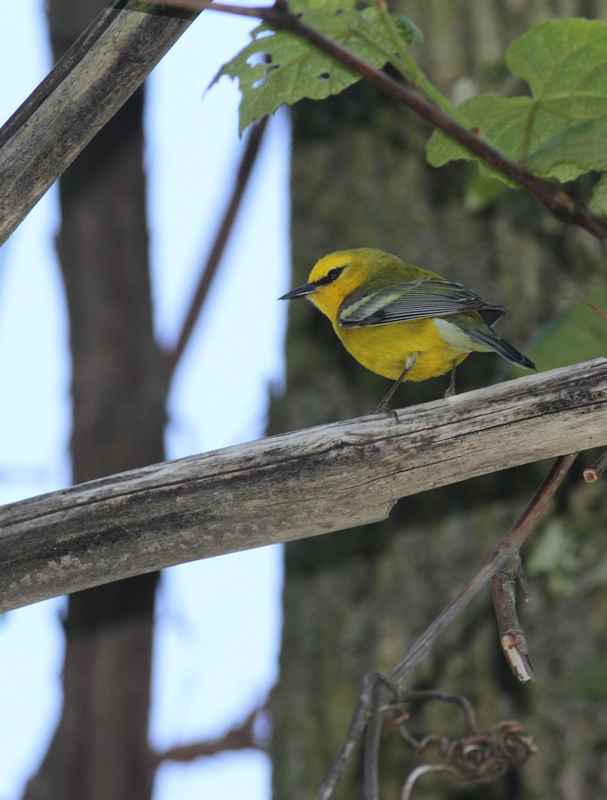 Below: A "Brewster's"-type Golden-winged x Blue-winged Warbler hybrid in Washington Co., Maryland (5/5/2010). 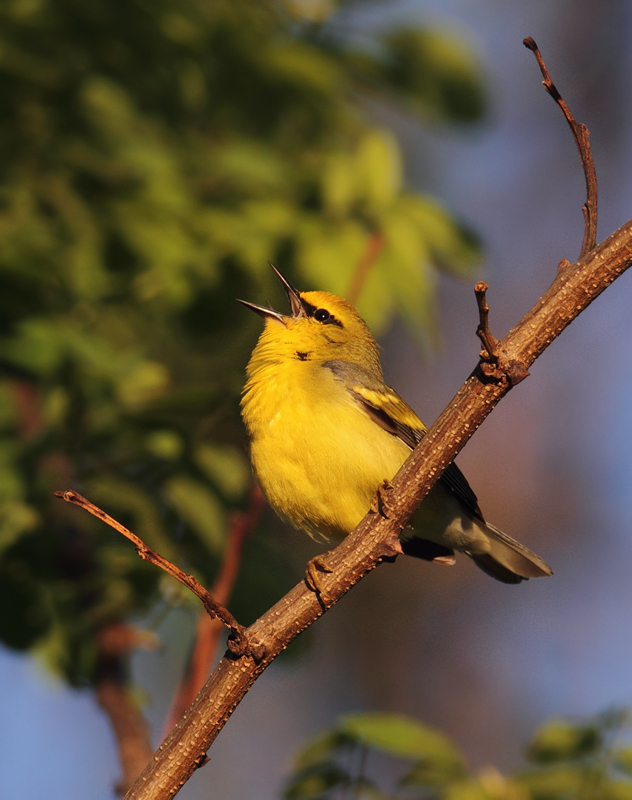 Although not exactly a "Brewster's" per se, note the bold yellow wingbars on this individual, making its Golden-winged Warbler genes quite evident. 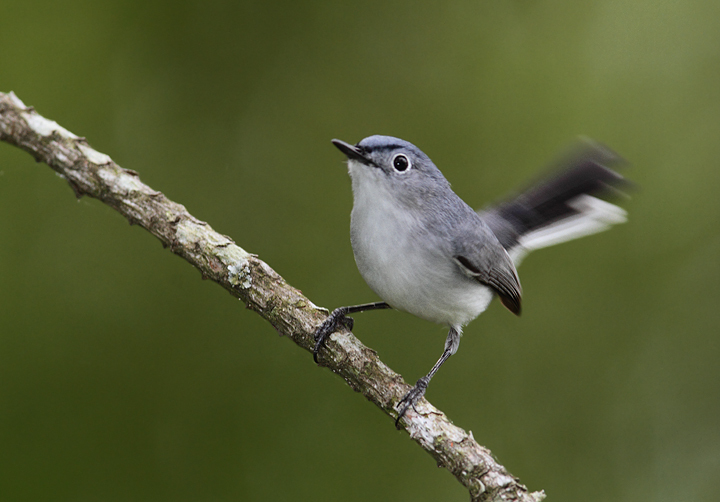 Below: A Blue-gray Gnatcatcher coming in for the kill, Somerset Co., Maryland (5/2/2010). 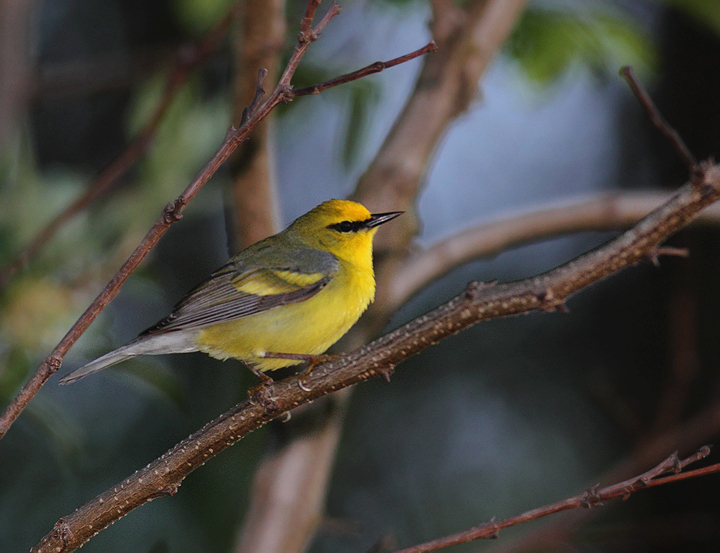 Below: A "Brewster's"-type Blue-winged x Golden-winged Warbler with more limited yellow, but still enough to suggest to me that this bird has genes from both species. 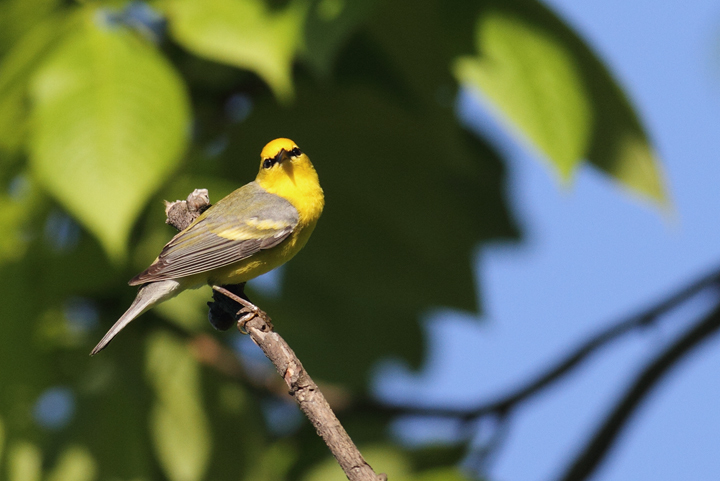 (Washington Co., Maryland (5/5/2010). 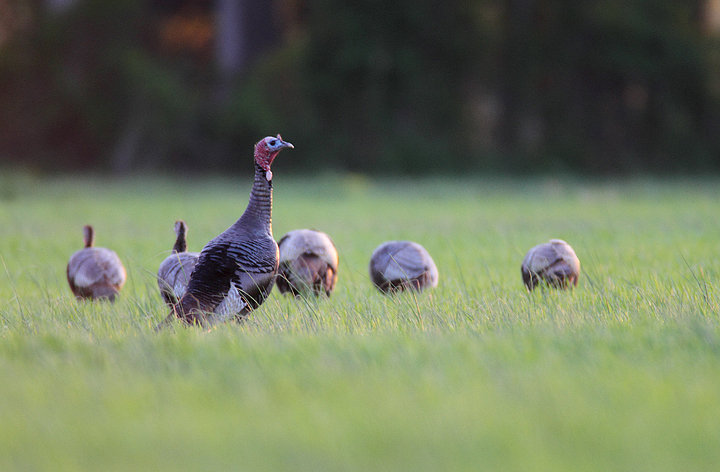 Below: Wild Turkeys feeding at dusk in a field in Talbot Co., Maryland (4/17/2010). 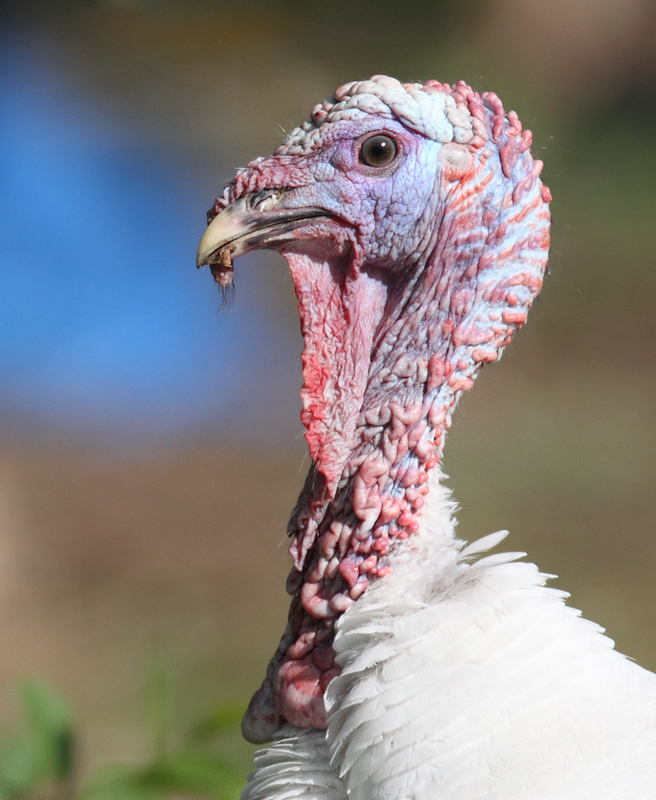 Below: A decidedly not wild turkey at a roadside in Caroline Co., Maryland (4/9/2010). 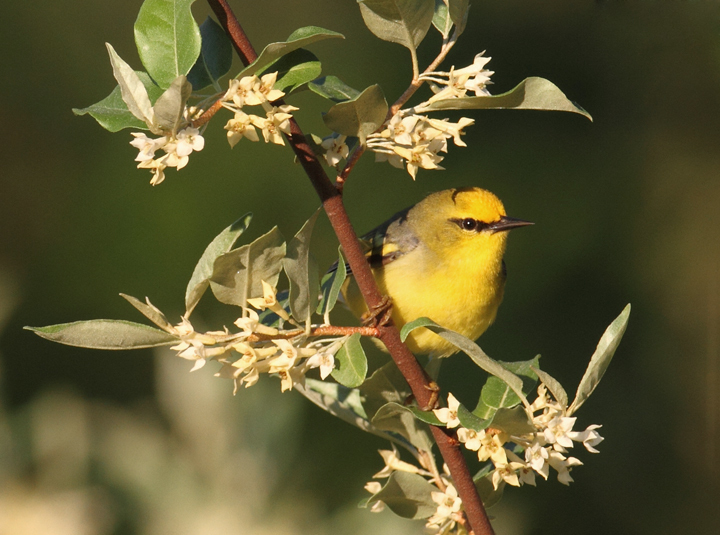 Below: A seemingly more "pure" Blue-winged Warbler in Washington Co., Maryland (5/5/2010). 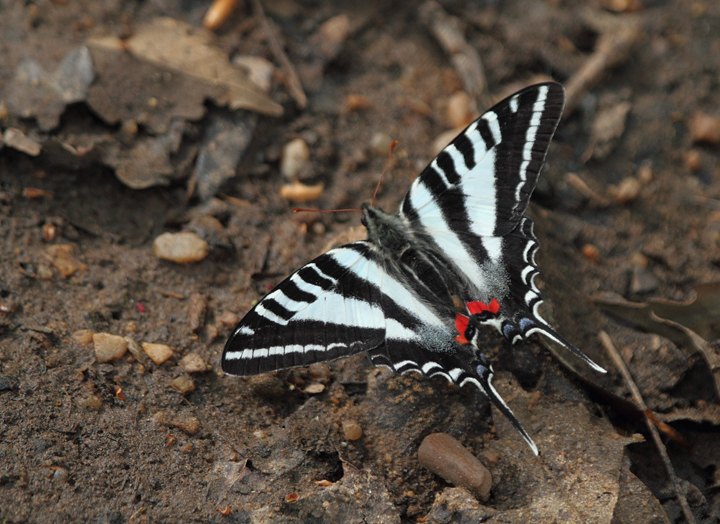 Below: A Zebra Swallowtail in Prince George's Co., Maryland (4/8/2010). 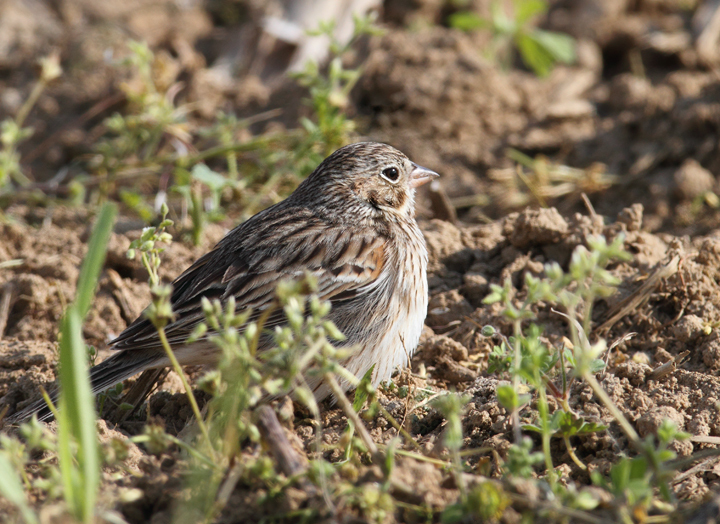 Below: A Vesper Sparrow on territory in rural Caroline Co., Maryland (4/17/2010). 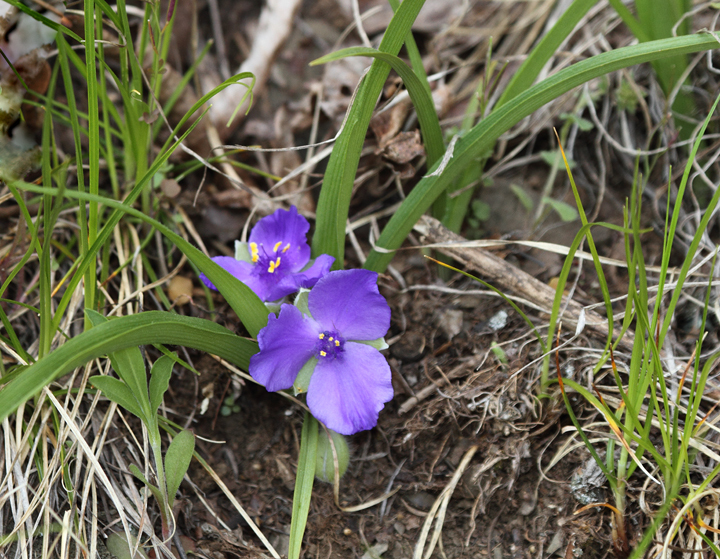 Below: Virginia Spiderwort (Tradescantia virginiana) blooming in Green Ridge State Forest, Maryland (4/24/2010). 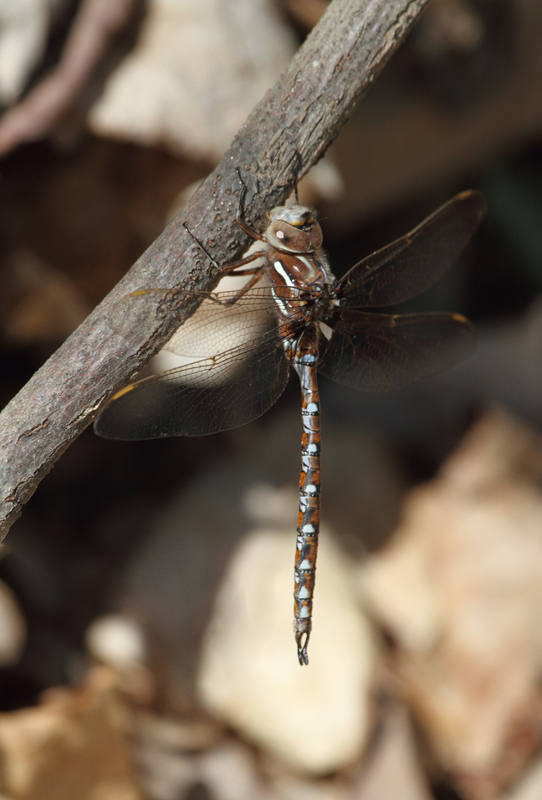 Below: A Springtime Darner in Green Ridge State Forest, Maryland (4/23/2010). 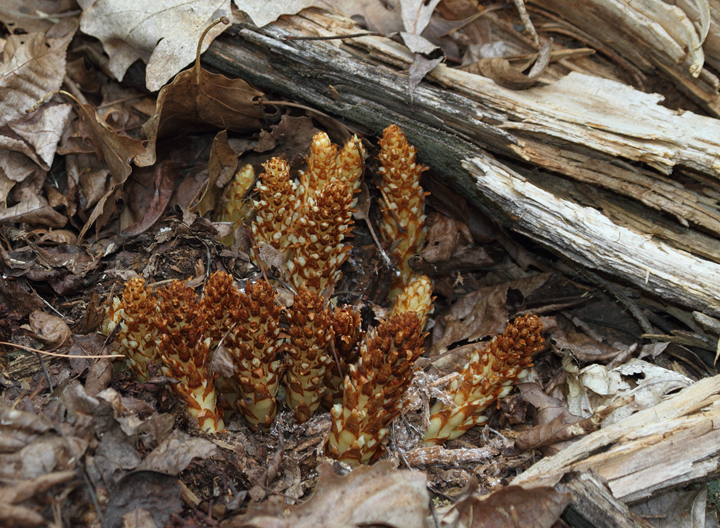 Below: The alien wildflower Squawroot in Green Ridge State Forest, Maryland (4/23/2010). 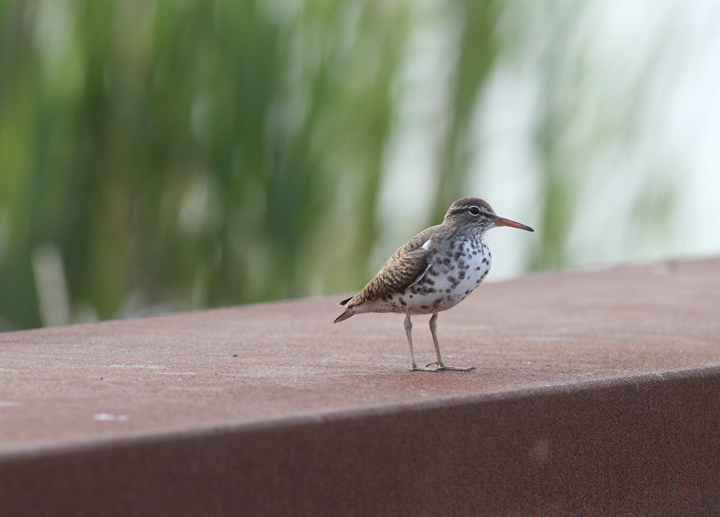 Below: A Spotted Sandpiper resting on the unexpectedly closed Whitehaven Ferry, Somerset Co., Maryland (5/2/2010). 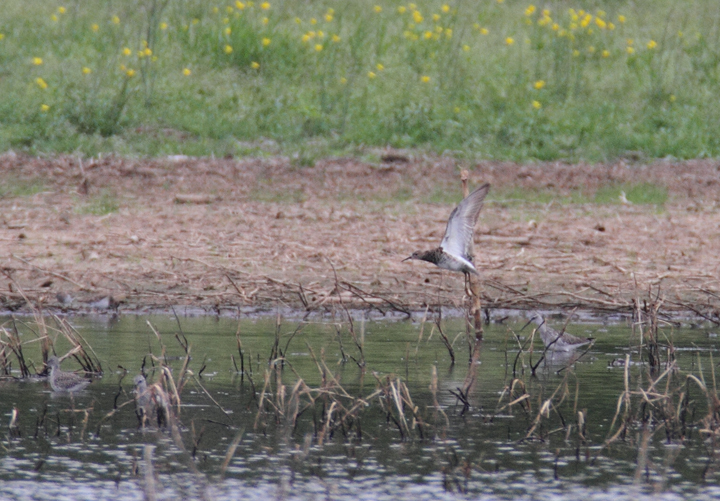 Below: Evidence of my great luck - the Ruff found by Ron Gutberlet in Worcester Co. on 4/17 hung out for over two weeks so I could enjoy it. 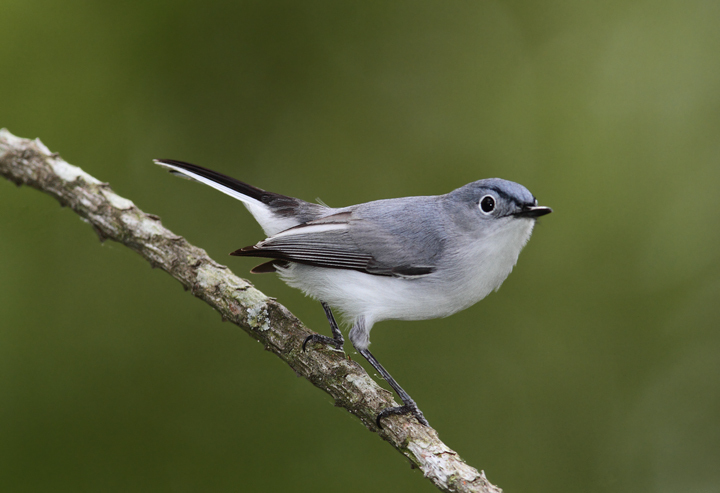 (Snow Hill, Worcester Co., Maryland - 5/2/2010). 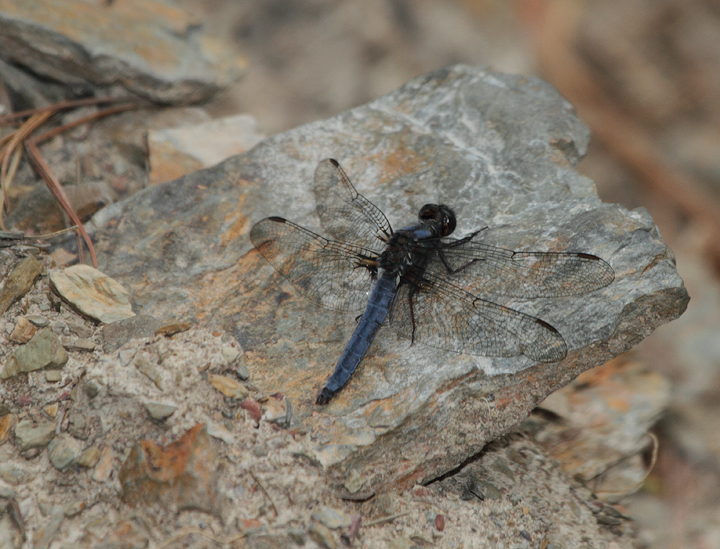 Below: A Blue Corporal in eastern Allegany Co., a new county ode record as of this weekend (4/25/2010). 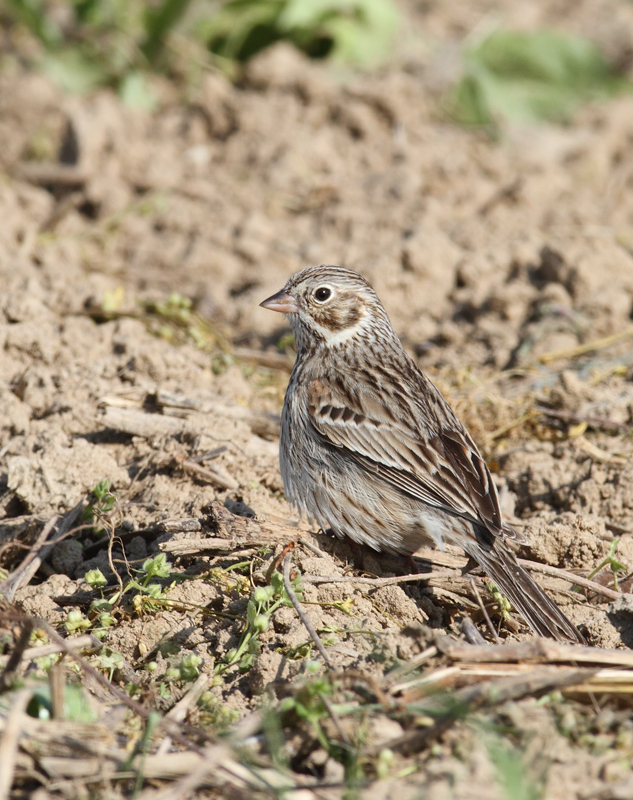 Found by Brighton, Holbrook, and Co. in Green Ridge SF; this individual was photographed north of Flintstone. 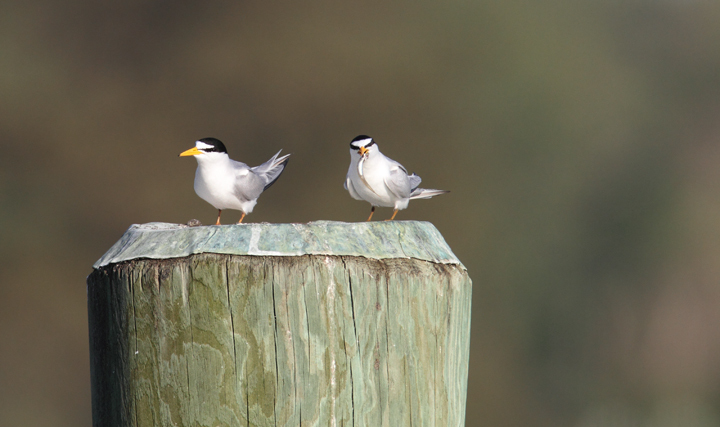 Below: Least Terns return to the Choptank River in Caroline Co., Maryland (4/17/2010). 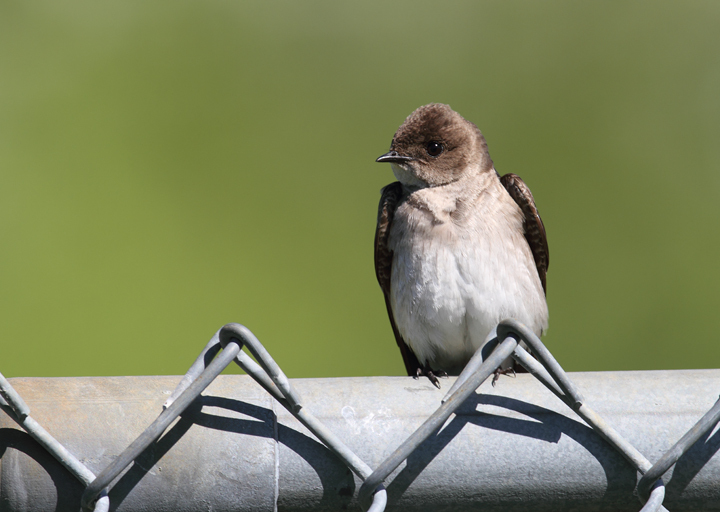 Below: A Northern Rough-winged Swallow in Washington Co., Maryland (5/5/2010). 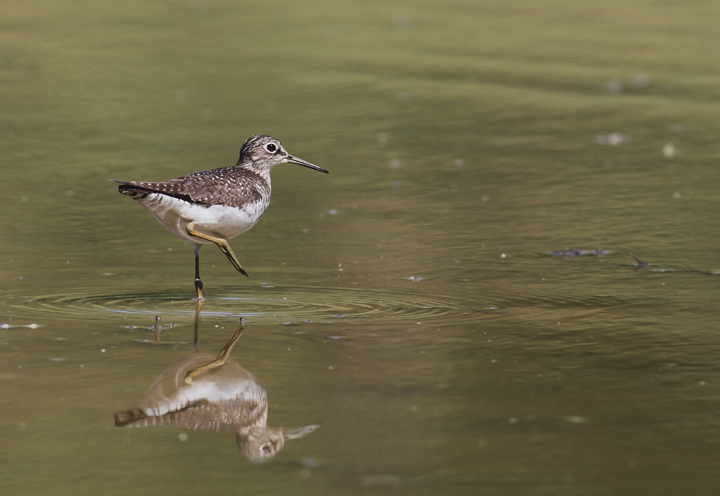 Below: A Solitary Sandpiper stops in at a flooded field in Washington Co., Maryland (5/5/2010). 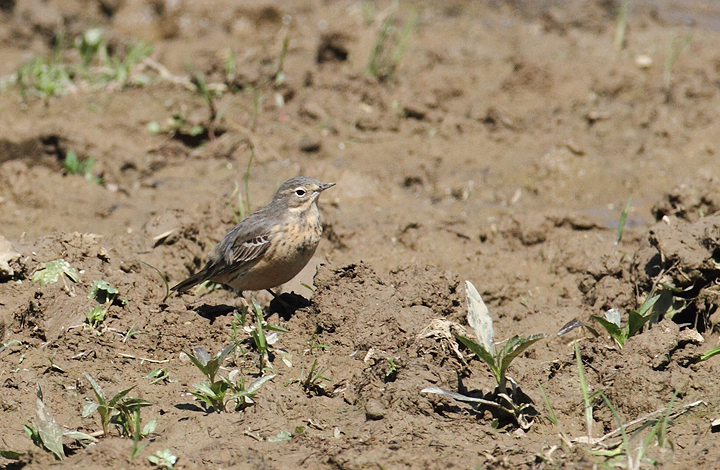 Below: A lingering American Pipit visits a flooded field in Washington Co., Maryland (5/5/2010). 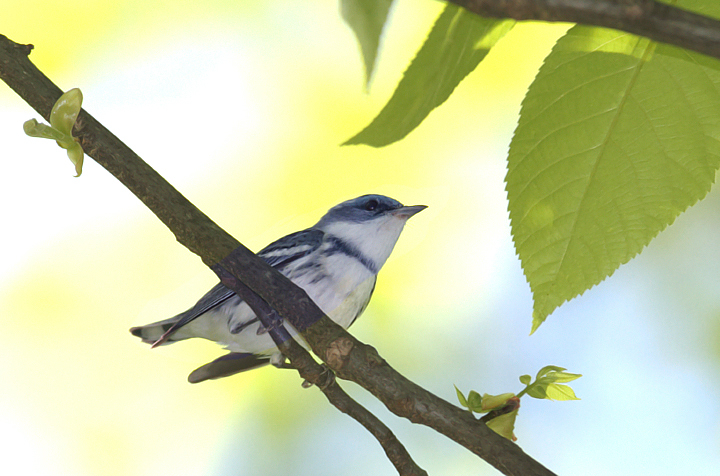 Below: A beautiful male Cerulean Warbler in Frederick Co., Maryland (5/5/2010). 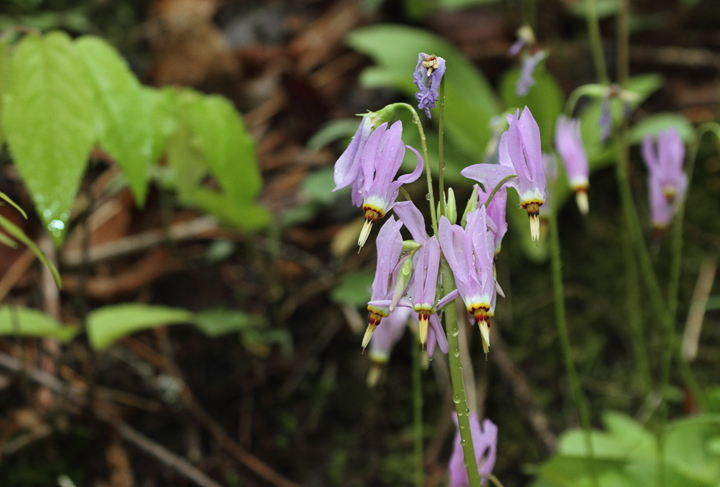 Below: The stunning wildflower Shooting Star (Dodecatheon meadia) in Allegany Co., Maryland (4/25/2010). 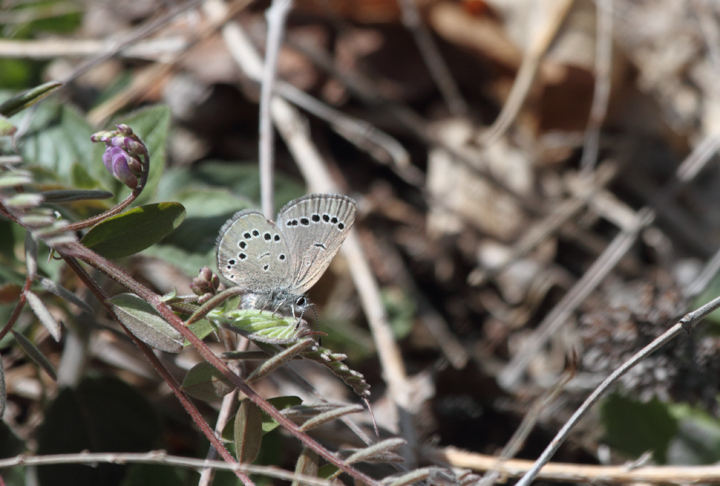 Below: A Silvery Blue, a very localized species in Maryland, in Allegany Co., Maryland (4/23/2010). 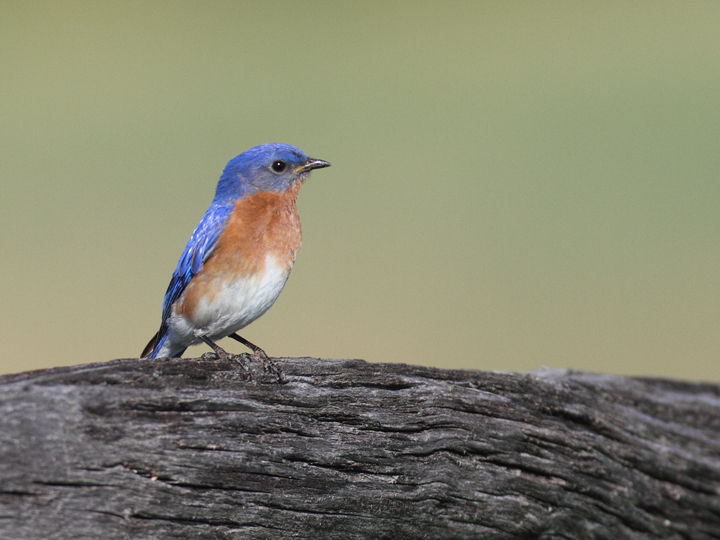 Below: An Eastern Bluebird at Antietam National Battlefield, Maryland (5/5/2010). 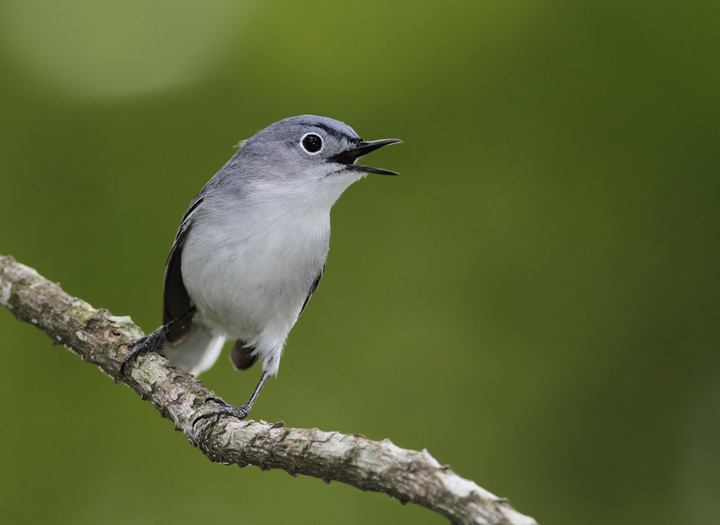 Below: A gnat's worst nightmare - Somerset Co., Maryland (5/2/2010).